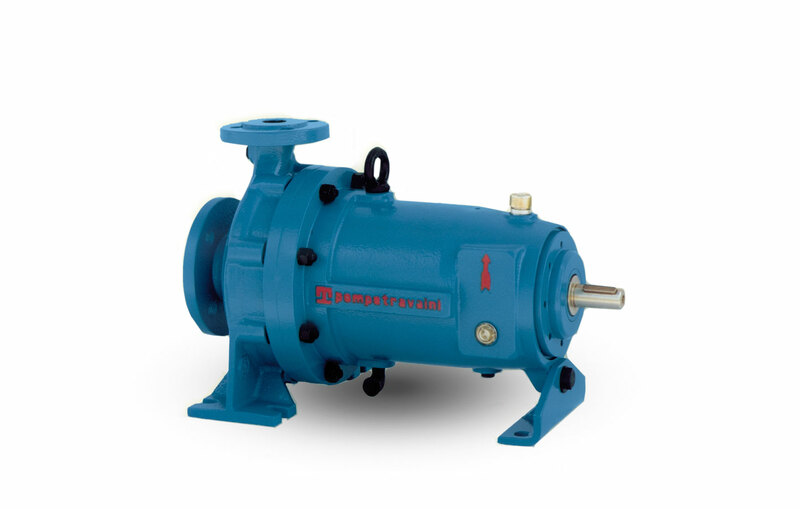 Monostage centrifugal pumps with closed impeller and dimensions according to ISO 2858 standards. Innovative design and high quality components. High efficiency and reduced power losses. No product leakage to atmosphere (2 static gaskets only). No need for expensive control systems and minimal maintenance cost. 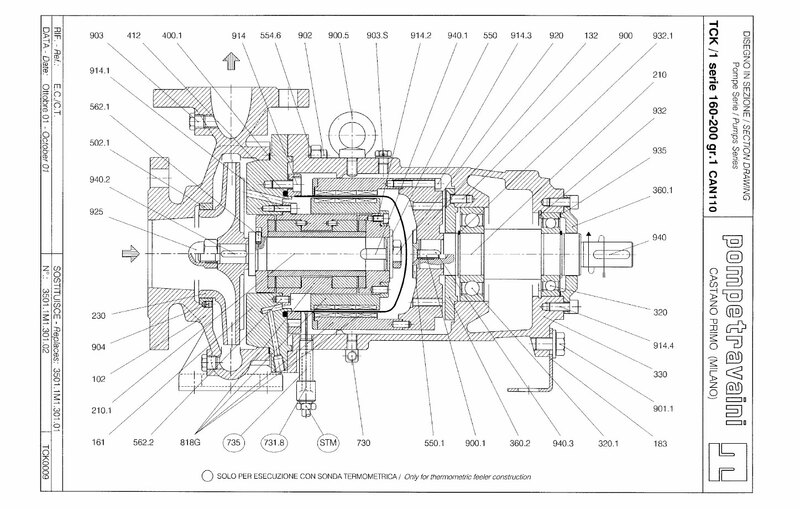 Arrangement for control of magnetic coupling temperature and pump vibrations. Easy assembly due to the reduced number of components and to the modular design of the magnetic couplings. 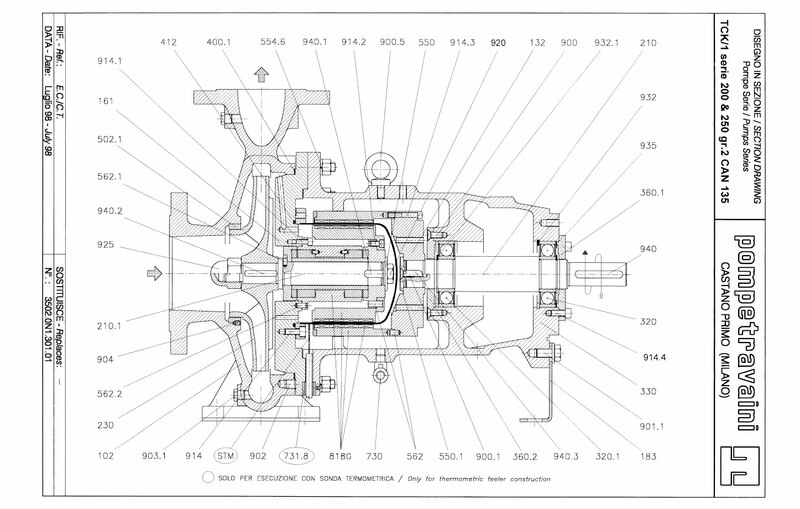 Internal lubrication with the pumped liquid. 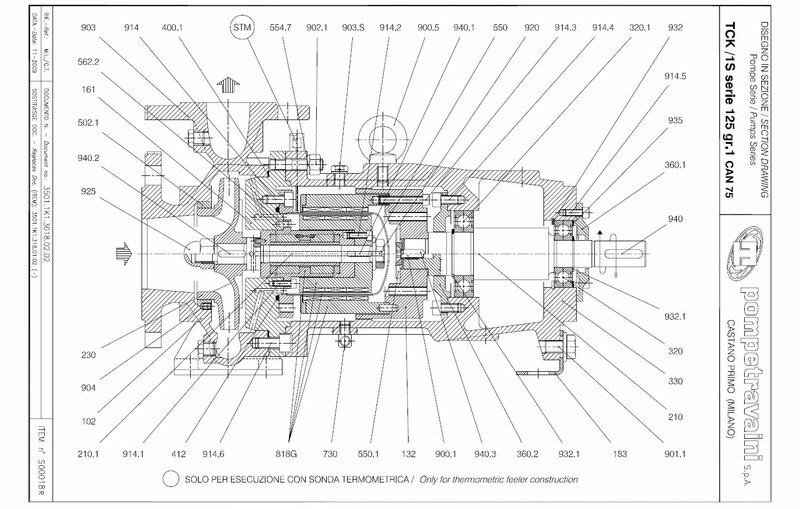 Possibility of retrofitting existing pumps equipped with traditional sealing systems (ie. 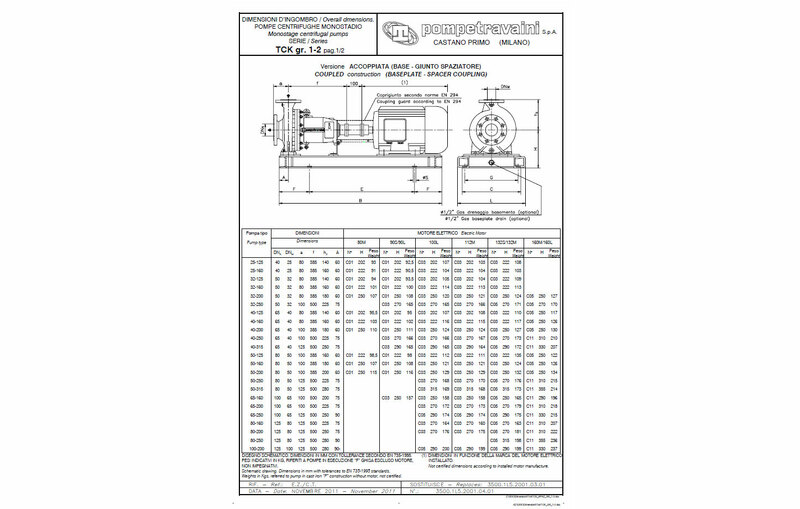 : Double mechanical seal with flushing from a vessel or other accessories - see at the left figure). Magnetic coupling in SmCo (Samarium - Cobalt). 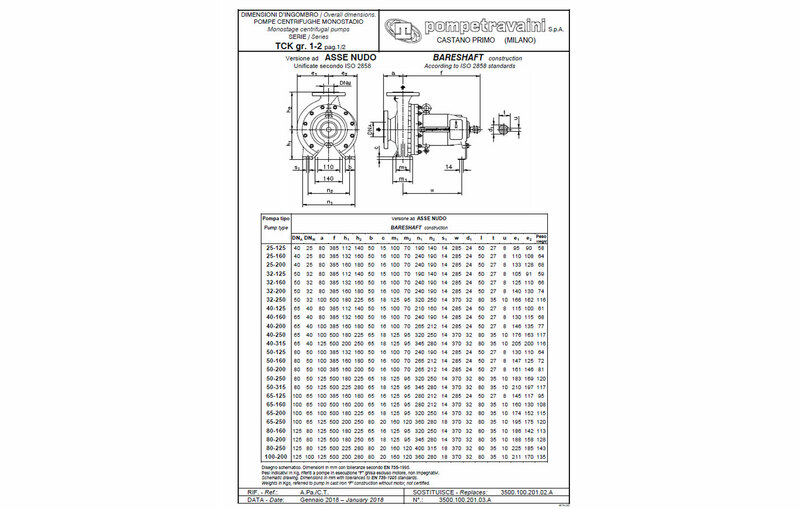 Internal bearing supports are sleeve with bearing in Silicon carbide. Chemical and petrolchemical processing industries, pharmaceutical and environmental industries, food industries and other services. Suitable for pumping of clean, not abrasive, corrosive, toxic, polluting liquids and with bad odors liquids hot or cold. 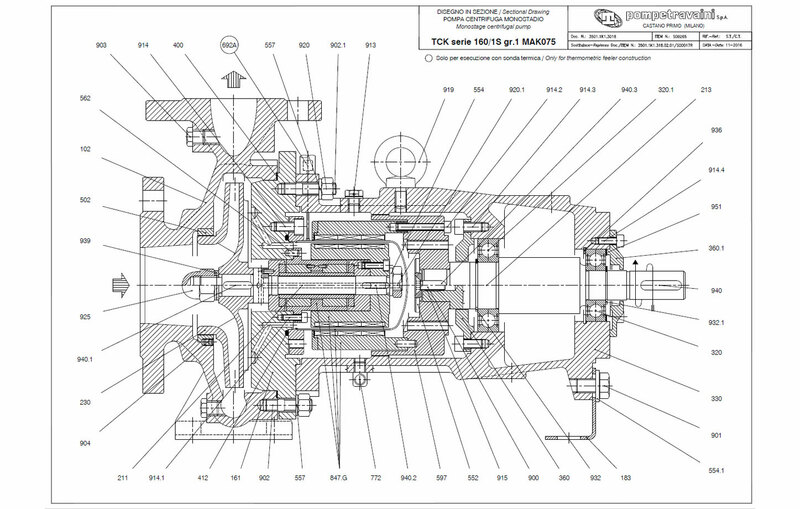 Monoblock mounting to B5 electric motor for best alignment and reduction of the overall dimensions. 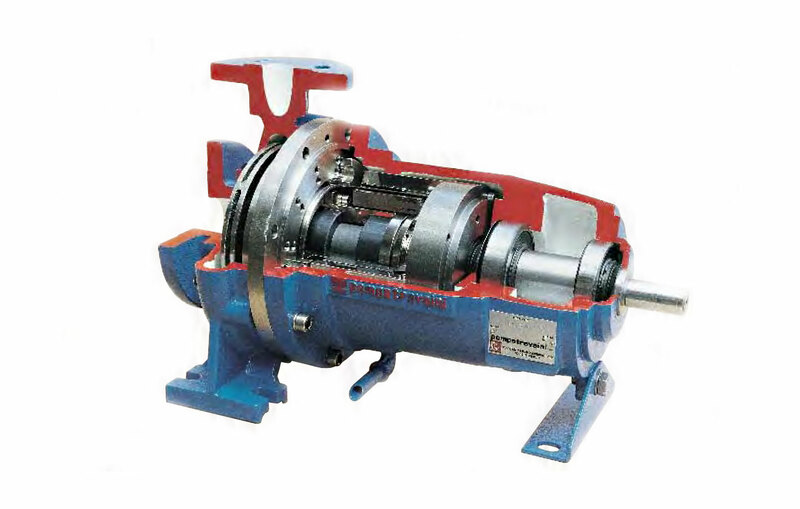 Cooling or heating of the Pump casing and of the Magnetic coupling. 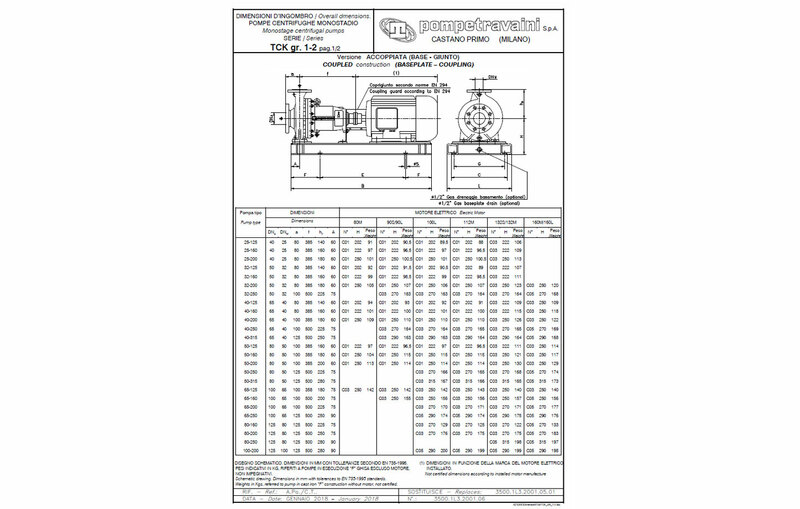 External bearing housing with oil lubricated ball bearings with possibility of cooling.